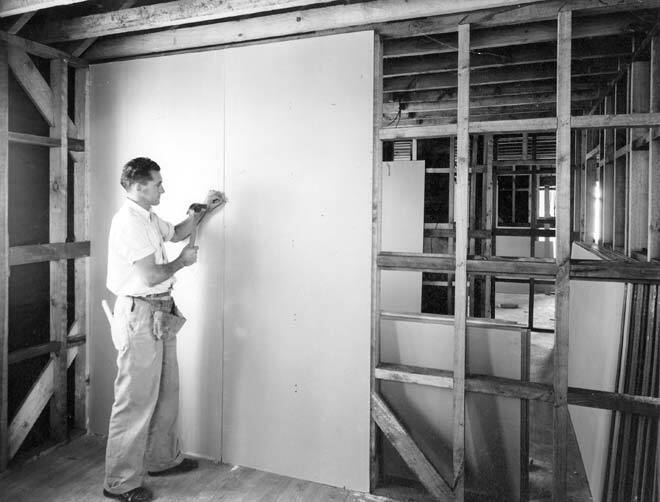 A man installs the fibrous plaster wall lining known as Gibraltar board, around 1954. Plasterboard is the standard wall lining in many buildings. Once the plasterboard is in place, the next stage is for the plasterer to come and coat over the joins, corners and nail depressions to form a flat surface that can be painted.